Tiles occupy a large area of our home. They attract most of the attention, when a guest walks in. Discolored tiles can make your home look old and dirty. Hence, having neat and tidy tiles is necessary to maintain the charm of your home. Cleaning tiles can however be a painful task. It not only requires efforts but can also waste a lot of time. But you don’t need to worry anymore. My Home Tile Cleaner is a well-established name in terms of tile and grout cleaning, Campbellfield. We have a highly efficient team of cleaners who are certified and trained enough to take care of floor tile cleaning, indoor tile cleaning, outdoor tile cleaning, grout sealing etc. We aim at restoring the charm of your tiles. Our cleaners not only use state of the art technology but also take apt measures to take care of your tiles in the best possible manner. 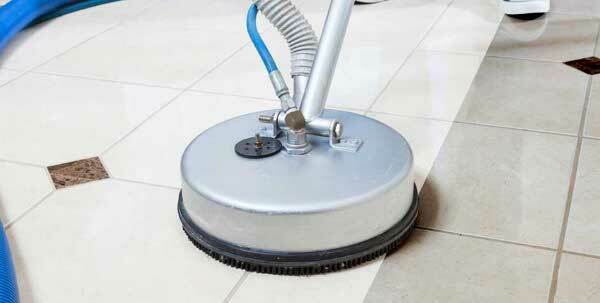 Regular cleaning of tiles is necessary to keep your home allergen free and free from contaminants. Rooms which are full of moisture such as the washrooms are usually more prone to germs and dirty tiles. This can lead to diseases apart from giving your living spaces a dirty look. Hence, it becomes necessary to clean your tiles and grouts at a regular interval. 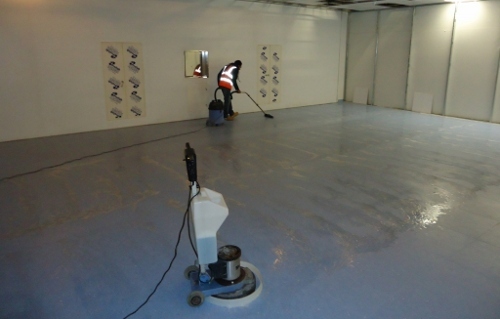 Regular floor maintenance increases the longevity of your tiles. It decreases the risk of health hazards and keeps your floor in good condition. My Home Tile Cleaner is famous for its tile and grout cleaning, Campbellfield services. They are available 24*7*365, even on public holidays and weekends. We reduce the risk or floor renovation by keeping your tiles and grouts in a perfect condition. Hence, be it tile cleaning, tile sealing, grout recaulking or tile sealing, we can make it all happen. If you are looking for a reliable tile and grout cleaning service in Campbellfield, then you have clicked just on the right link. As soon as we receive your query, it becomes our top priority to get in touch with you. We make sure that we fulfill your demands to the best of our ability. We deal in all types of tile cleaning services such as marble tile cleaning, terracotta tile cleaning, granite tile cleaning, sandstone tile cleaning etc. Our experts are just a phone call away. As soon as you make the call, you will find our cleaner at your door step in no time. We value your time and money. Hence, we give our best to ensure your satisfaction from our services. You can expect to get your tiles and grouts cleaned the same day itself when you make a call on our 1300 660 487. My Home Tile Cleaners is known the efficient team it possesses that delivers complete care and solution for your tiles and stones. 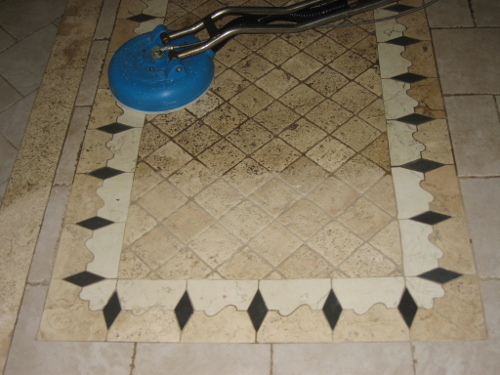 Besides tile cleaning tiles, we are also capable of restoring your marble floors from the regular tear and wear. We can remove the dirt and stains from the marble flooring and make it look glittering once again. Apart from marble, we can clean almost all kinds of stones such as granite, sandstone, limestone, bluestone, terrazzo tiles, terracotta tiles and more. What else? The affordable prices. We offer the best services for your tile and marble restoration, the most competitive prices in Campbellfield. Even if tiles are clean, it is the grouts which create most of the trouble. Grouts are not just extremely difficult to clean but also requires patience. It can easily catch stains, dirt and dust which can accumulate in the tiny crevices of the grout. It requires up to date equipment along with best chemicals to deep clean grouts. My Home Tile Cleaner is an expert in tile and grout cleaning, Campbellfield. So, worry no more and send them a query to get rid of not just dirt, dust but also all types of allergens and contaminants from your grouts. Our experts use specialized products which are not only highly efficient but are also environment-friendly. They combine their expert knowledge and skills to give you best results. Hence, we have a highly dedicated team who takes care of all types of tile and grout cleaning in Campbellfield. Hence, My Home Tile Cleaner is your one stop destination for all kinds of services related to tile and grout cleaning, Campbellfield. Give us a chance to impress you with our services and you surely won’t be disappointed. Customer satisfaction is our topmost priority. We value your hard earned money and try our best to serve you in a manner you will be happy paying for. We never compromise with the quality and use only best equipment along with Eco friendly chemicals to give your tiles a super clean look. 100 % customer satisfaction is what we aim for. We also charge a very nominal price for our services. Hence, you won’t burn a hole in your pocket while availing our services.